Eksklusiewe Landskappe | Exclusive Landscapes specializes in the installation of all kinds of instant lawns. 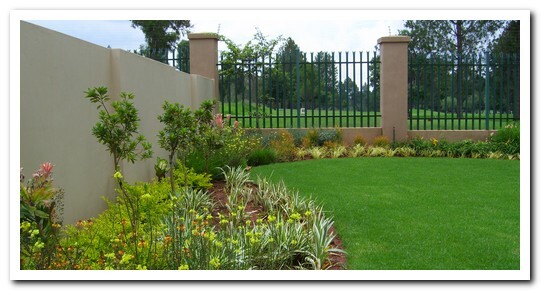 Kikuyu instant lawn is the popular lawn for sunny areas while LM instant lawn is a winner in semi shade areas. A proper cultivated bed with compost and fertilizer richly worked in and leveled to perfection will ensure the correct basis for new lawns. After installing of the instant lawn of your choice, it will be watered well and rolled with a heavy roller. This will turn it into a smooth and level end product being proud off. Keep your new lawn moist for the next two weeks and you can start cutting your new lawn lightly because the roots would have grown enough to stabilize it. Weekly cutting is then necessary to keep the lawn manicured and looking beautiful. Well look after lawn is essential in the whole context of the garden layout because it take up the biggest chunk of the garden in most designs.